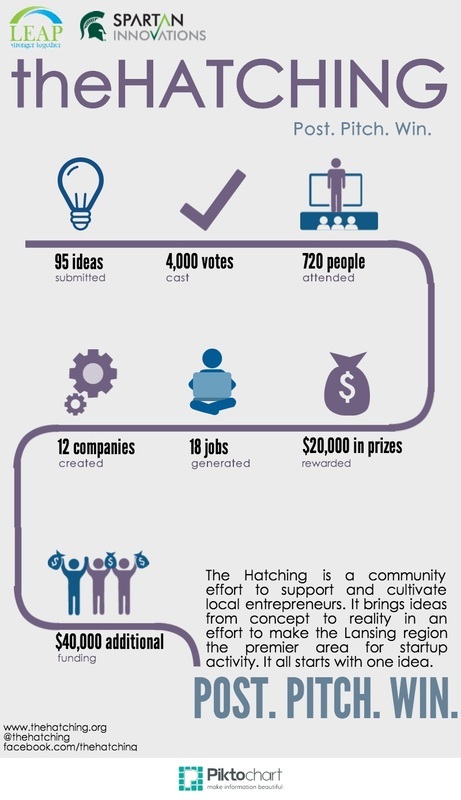 The Hatching is a community effort to support and cultivate local entrepreneurs. It brings ideas from concept to reality in an effort to make the Lansing region the premier area for startup activity. It all starts with one idea. In its first year, the Hatching has created 12 companies, 18 jobs and 720 people engaged in the process all for an investment of just $20,000! Congratulations on your first year! !